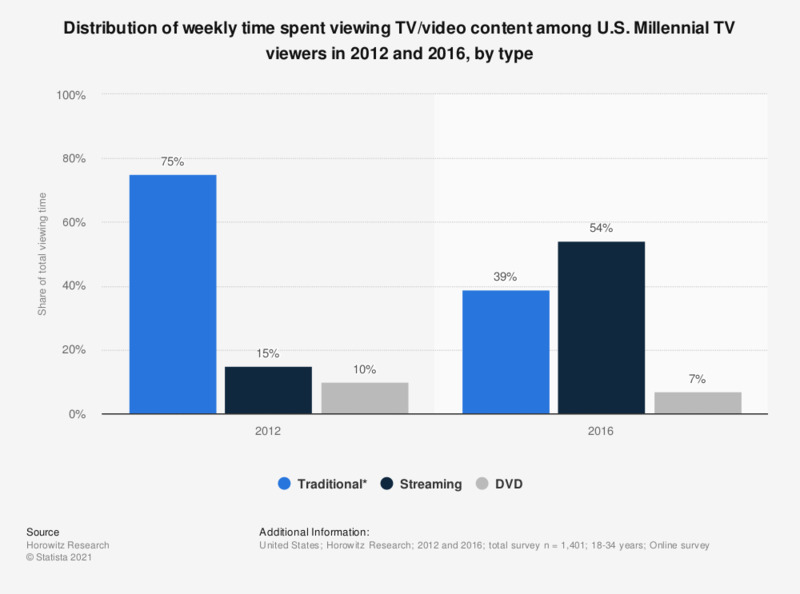 This statistic presents the distribution of weekly time spent viewing TV or video content by U.S. Millennial TV viewers in 2012 and 2016, sorted by type. According to the source, 54 percent of the Millennial's weekly time spent watching TV or video content was carried out through streaming. * Includes DVR, live and video-on-demand. Data for DVD from here. Have you, within the last 12 months purchased music or TV/video content from the following services?